As debate over tax reform ramps up in Congress, NAHB is emphasizing the critical importance of the mortgage interest deduction (MID) to American families nationwide, and the many reasons that lawmakers should leave this key homeownership incentive intact. To help further NAHB's efforts in this direction, our economists recently took a look at IRS data that helps illustrate the importance of the MID to the middle class in individual states across the country. It's understandable that MID claims will vary across different states, depending on such factors as house prices and other costs of living, household incomes and tax items such as property taxes or state income/sales taxes -- all of which help determine whether a home owner claims the standard deduction. And indeed, the IRS data shows that the share of taxpayers who both claimed the MID on their 2010 federal income tax return and reported less than $200,000 in adjusted gross income was somewhat smaller in high cost states such as New York and California, where incomes tend to be higher. 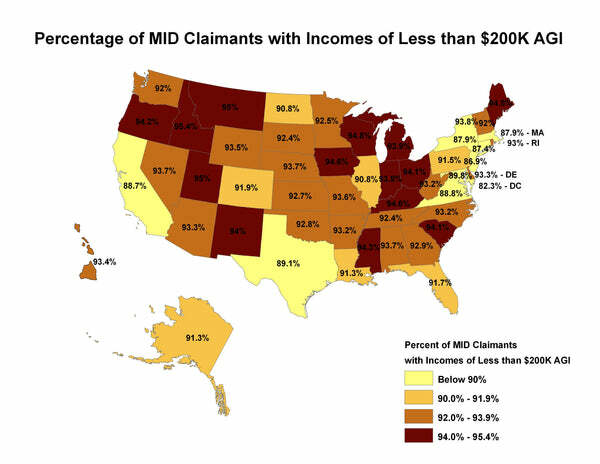 Even so, compared to the 91% of taxpayers nationwide who had adjusted gross incomes of less than $200,000 and claimed the MID in 2010, states with the lowest percentage of such taxpayers were still in the 87%-and-above range. Today's House Design Photo is that of Archival Designs' Aspen Creek. Choose from more than 400 house plan designs that we offer in a wide range of styles and sizes. Some of our more popular house designs include European-inspired Georgian and palladian homes, English manor house plans, Tuscan-style Italian villas, French chateaux, and colonial house plans. Our Tuscan-style villas range from 1800 sf to 14,814 sf, and the Newport classic house designs range from 1500 to 500o sf. Our starter castles, mansions and estate homes are designed in the grand tradition of some of the most impressive homes in the world. Please feel free to search our house designs offered. Our plans have been built around the globe, from Canada to Dubai, and one could be just for you!